Dara Singh, who won India numerous accolades globally in wrestling, passed away on 11 July 2012 in Mumbai following a protracted illness. He was 84. Born in 1928 in Amritsar, Dara Singh travelled to different parts of the globe as a Professional Wrestler. He announced his retirement from active wrestling in 1983. He had a long stint in Indian film Industry. After he made his debut in Bollywood in 1967 with the film Saat Samundar Paar, he played numerous characters in more than fifty Indian movies. He also directed and produced a number of movies. Singh got the real recognition as an actor when he fabulously portrayed the character of Lord Hanuman in the Ramanand Sagar’s Ramayan television series. Russia completed India’s submarine modernisation programme with the modernisation of INS Sindhurakshak which is the seventh and the last of the 10 Kilo-class submarines that India bought from Russia between 1986 and 2000. During a two-year in-depth modernisation the torpedo-firing INS Sindhurakshak, built in 1997, has been equipped with the tube-launched Club-S cruise missiles effective against surface vessels and submarines at a range of about 200 km. More than 100 aviation professionals from African countries will be trained at the Indian Aviation Academy, New Delhi, in operation and management of airports this year. The training programme would be done as part of an agreement that India signed with the African Union and the duration would be 10 days. Union Minister for Health & Family Welfare Shri Ghulam Nabi Azad launched WHO’s new Country Cooperation Strategy with India (2012-17). With a view to further improve the delivery of Tatkal tickets to passengers, the Ministry of Railways has decided that with effect from 10th July, booking of Tatkal ticket will start at 1000 hours on the previous day of journey from train originating station instead of 0800 hours at present. Union Rural Development Minister Jairam Ramesh on Sunday announced that his Ministry would soon sign a Memorandum of Understanding (MoU) with the Ministry of Defence for installation of bio-toilets in 1000 gram panchayats across the country. The project will be implemented in coordination with the Defence Research and Development Organisation (DRDO) at a cost of Rs. 400 crore, which will be provided by the Union Rural Development Ministry. Jagadish Shivappa Shettar was sworn in as the 27th Chief Minister of Karnataka. KS Eshwarappa and R Ashoka, two other BJP heavyweights in the state, were sworn in as deputy chief ministers of the state. A total of 34 ministers took the oath of office. As per the constitution the Karnataka can have a maximum of 34 ministers. Jagadish Shettar was unanimously chosen the leader of the BJP legislature party following the resignation of DV Sadananda Gowda on 11 July 2012. Civil aviation Ministry appointed Nasir Ali as the new joint managing director. Prior to this appointment, he was dealing with human resource issue related to the merger of Air India and Indian Airlines. He is the second managerial executive posted in airline by civil aviation ministry after Rohit Nandan who was appointed as the chairperson and managing director of the airline in 2011. 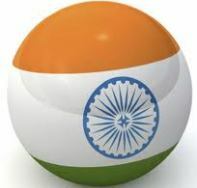 India and Singapore signed three key bilateral agreements and a Memorandum of Understanding on 11 July 2012. Both the countries, in the memorandum of understanding have decided to renew the bilateral arrangement between the Air Forces on joint training. The other agreement focused on expansion of joint ventures, technological collaboration both bilaterally and in third countries. Both the countries in the agreement also decided to pin on defence cooperation. This post contains the current affairs of July 2012. These are short current affairs 2012 notes for quick review.